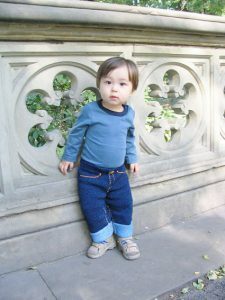 “These unisex baby jeans knit up quickly. 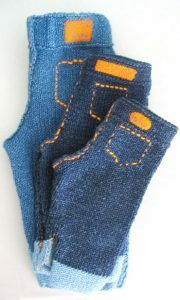 They are comfy as PJs, and get more faded and jean-like with every trip through the washer and dryer. An added benefit is that the baby wearing them will look like James Dean (or Marilyn Monroe) in the movie ‘Giant’.